This level has medium difficulty and you need to use good strategy to complete this level. 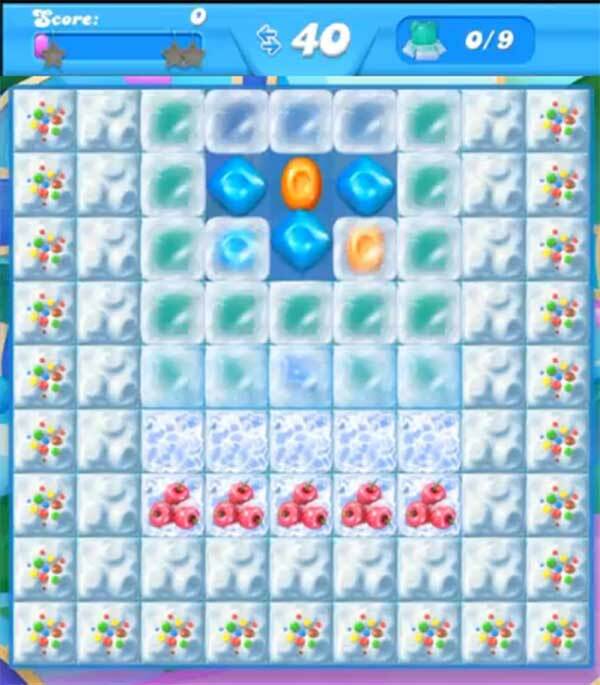 For this level you should try to play from the bottom to break the snow as you have more candies to play then make special candies. Try to make wrapped candy or striped candy with colorbomb combo to break more snow. After play more near to snow to save all bears to reach the target.